city are products of one man – Antoni Gaudi, a modernist architect and designer of the distinct La Pedrera, the beautiful Parc Guell, and the famously incomplete La Sagrada Familia cathedral, which has been under construction since 1882. If the weather is fine, the Mediterranean beaches are always a good option. Once the sun sets, find a restaurant. The cuisine in Barcelona is top-notch, as some of the world's best chefs come here to add new twists to traditional dishes creating a taste all its own. The nightlife is also fabulous, with multi-story clubs like Razzmatazz highlighting the options. For accommodation, Barcelona offers a wide selection, ranging from budget-friendly hostels to high-end hotels like the Hotel Arts Barcelona. 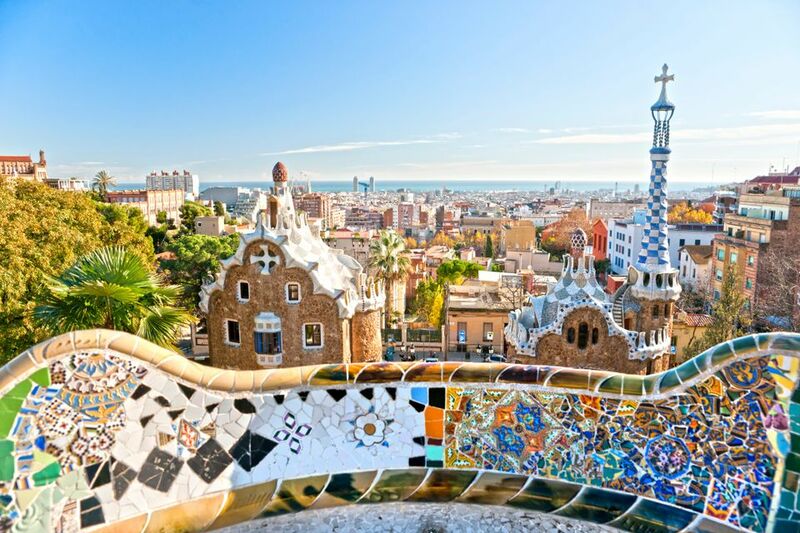 In Barcelona, the city where new ideas are required to succeed, there is never a shortage of activities for travelers. and humid, and crowds from Northern Europe flood in on their yearly vacations, but May-June and September-October strike a balance between sunny, hot weather and relative availability of hotels. Amazing city! Have been here twice since 2017. It is absolutely mesmerizing and such an awesome ambiance and array of different art styles. Would recommend for any younger persons or families to go to! I've been to Barcelona a few times and grew to appreciate the city more on repeat visits. The architecture of the city is gorgeous and inspiring and it brings me a lot of joy just strolling around here. I adore Gaudi's work and if you're a fan, you must visit the city! Don't miss visiting Sagrada Familia, which we only saw from the outside the first time we visited, but you must go in! It's amazing! I prefer other areas of Spain more for their food and people, but the buildings here are simply the best. Plus, some locals can be uptight and rude if you speak (or try your best) Spanish; they speak Catalan (but also speak Spanish), so just be aware. Barcelona is well-known of football and we really excited to be here. Park Guell and De Catalunya also must have a visit.